For many years there has been a gap in the digital recording industry for guitarists who want to make use of MIDI (otherwise known as Musical Instrument Digital Interface). MIDI essentially allows you to transmit messages to your computer that will tell it how you want something to sound (pitch, velocity, etc). Your computer then takes that information and can associate it with a huge selection of instruments. From playing a grand piano, to the drums, or even a vibraphone, MIDI can do it all. However, up until now, there hasn’t really been much out there that guitarists could use to produce MIDI data. Keyboard players have keyboard MIDI controllers, drummers have MIDI drum controllers, but guitarists didn’t really have much. That’s why in this post I’m excited to share my experience with the jamstik+, a MIDI controller for guitarists. Although many studio musicians will find the jamstik+ useful as a MIDI controller to produce different sounds while playing an instrument they know, the jamstik+ can be used for much more. Check out my complete jamstik+ review below to learn everything you need to know about what the jamstik+ is, how it works, what are its strong/weak points, and what my overall impressions are. Be sure to check out the coupon code at the bottom of this post for a 10% off discount if you’re interested in purchasing the jamstik+ after reading this review. As I mentioned above, the jamstik+ is a MIDI controller for guitarists. This means no more messing around with trying to get your MIDI ideas out using a keyboard or god forbid, programming them manually. With this device, you can wirelessly connect to Apple products such as Macs, iPhones, and iPads as well as Android devices using version 6.0/6.0.1 Marshmello and above. If you’re a Windows/PC user you can still use the jamstik+ however, you can only connect it via the USB cable. 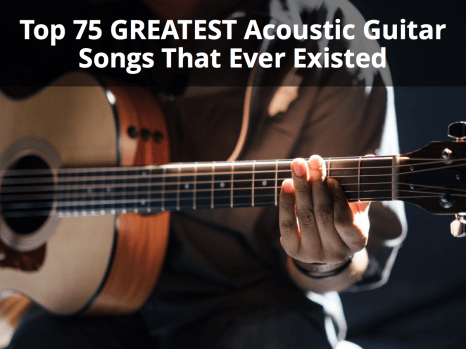 Once you’re connected, you’ll be able to start playing guitar, piano, violin, or anything else within just a few seconds. That about covers what the jamstik+ controller itself has to offer. Like many MIDI controllers, they don’t do too much (if anything) on their own. However, when paired with a piece of software, it opens a whole world of possibilities. I wanted to do a quick unboxing and show a couple of picture of what comes with a jamstik+. The jamstik+ packaging is very well put together, compact, and provides you with the essential information to get your jamstik+ up and running fast. and using it in the studio. If you want to jam with your bandmates or work on some more complex guitar techniques such as finger tapping for instance, the jamstik+ probably isn’t right for you. However, if you plan to use the jamstik+ for any of the 3 reasons above, it can be a great tool to invest in. In the section below, I dive a little deeper into what makes the jamstik+ useful in each scenario. First and foremost, using the jamstik+ as a studio tool is what appeals to me the most personally. If you’re a little more of an advanced guitarist, you might find the jamstik+ a bit limiting in terms of frets, or the style music you can play if you just want to jam with it. However, in a studio setting the jamstik+ offers a huge range of possibilities. Take myself for instance, I love playing around with MIDI sounds, however I’m not overly comfortable with how to play the keyboard. Therefore, before I used the jamstik+ I had to spend a while trying to figure out how to play what I wanted using a keyboard. However now, I’m able to play what I want instantly as I know exactly how to play it on guitar. Furthermore, although the jamstik+ only has 5 frets, you can move the virtual capo up and down as well as change the octave you’re in, so you aren’t just restricted to using only 5 frets. The jamstik+ can also be used as a learning tool. The jamstik+ makes it super easy for beginner guitarists to learn their first few chords and get more comfortable with picking. The action on the jamstik+ is very similar to that of an electric guitar so it’s easy on the fingers. Furthermore, with the jamstik+ Tutor app that’s available for download (discussed more in the next section) learning the basics of guitar becomes an extremely visual and fluent process. For a beginner, the transition from a jamstik+ to a real guitar may be a bit shocking at first (especially if they’re using an acoustic guitar) since the strings will be a bit harder to press down. Additionally, a real guitar usually has about 15 more frets compared to jamstik’s 5. 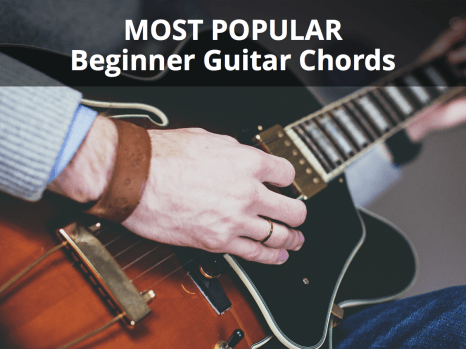 However, for the most part, beginners usually stick to using just the first 3 frets anyway when learning their basic chords. If you travel a lot and want a small guitar to noodle on while you’re on the road, then the jamstik+ will do the trick. It’s small enough to fit in your suitcase or backpack, it’s lightweight, and is less prone to being damaged while traveling. Another super convenient aspect of taking the jamstik+ on your travels rather than a regular guitar is that you don’t need to bring along an amp, pedals, patch chords, or anything else you usually would. The team over at Zivix, creators of the jamstik+, have released four Jamstik specific apps so far. One is simply called jamstik+ which is where you can modify your settings, change the jamstik+ tuning, and more. The other application is called JamTutor and JamTutor 2 which are more geared towards teaching beginner guitarists how to play guitar, and the last is called JamMix used for creating cool loops in seconds. I’ll discuss each of these applications in greater detail below. As mentioned, the jamstik+ app is where you’ll be doing all of your setting configurations. This app is mandotary as without it, you won’t be able to use the jamstik+ to its fullest potential. Once you’ve downloaded the jamstik+ app from the app store, it’s time to open it up and configure your JamStik. The first thing you’ll want to do is connect your jamstik+ via bluetooth. To do this, make sure your jamstik+ is turned on and click on the plus “+” sign in the top left-hand corner in the app. You’ll then want to double click on the Bluetooth icon and click the Connect button for your jamstik+ device. Your jamstik+ should now be connected and you can begin using it within the jamstik+ app. Now, going back to the app itself, this is where you can start playing around with all the settings. At first glance, you’ll see the chord visualizer on the top left-hand side while the instrument selection is on the top right-hand side. Below that is the real-time fretboard of your jamstik. 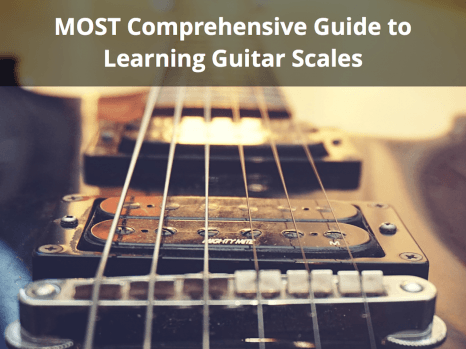 This section will show which notes you have pressed down and/or which notes you’ve strummed. For example, if you play the G chord, the jamstik+ app will plot the G chord notes on the fretboard and the chord visualizer will tell you it’s a G chord, pretty cool! The next two sections are pretty self-explanatory, the section below the fretboard lets you define actions for the buttons located on the top of the jamstik+ controller. By default, the up and down buttons correspond to moving octaves up and down and the side buttons correspond to moving the capo up and down along the fretboard. However, you can define these however you like. The section below that is simply the tuning section and lets you choose from a variety of different tunings. You can also select your capo and octave settings from this page. The last section is pretty important in my opinion. In this section, you can basically define your pick sensitivity settings. This means that if you’re a light picker or want to play fingerstyle you’ll want to stay around the Minimum area. On the other hand, if you’re a strong picker and like to strum the strings hard with a pick you can move towards the Maximum area. The lower the trigger value the more sensitive pick detection is and the higher the trigger value the less sensitive pick detection is. Additionally, you can adjust the “Boost” settings for each string to compensate for the volume of light picking. Play around with these settings and see what works best for you. I’ve found that there isn’t really one defined setting that works best, it all depends on what I’m playing that will define what I need to set my pick sensitivity at. The last area that you really need to know about in the jamstik+ app is the Settings section. This area can be accessed by clicking the cog icon in the top right-hand corner and then clicking “Settings”. This will open up a window containing a bunch of things you can configure from MIDI settings to more picking settings, fretboard options and more. It’s a good idea to take a good look through these and enable/disable anything you’d like. For instance, I love having the hammer on functionality enabled but am not a big fan of the string bend option. The second and third Macbook apps offered by Zivix are called JamTutor and JamTutor 2. These apps are focussed on teaching beginners how to play guitar. 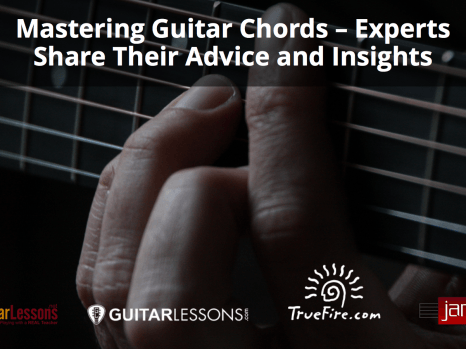 Lessons: A 5 multi-part lesson plan that gives players a good overview of how to get started with their jamstik+ as well as teaches them the basics of guitar. Arcade: A Guitar Hero-esque game that players can pick along to in order to score points. Open Play: A place to play chords, learn scales, and jam. If you’re a beginner guitarist, download this app and work through the lessons. Although, if you’ve already got a good handle on how to play guitar, I’d say don’t bother with it. The JamMix app is currently only available for iPhones and iPads. It’s an app that essentially allows you to create mixes by choosing from a combination of predefined loops within the app. Once you’ve got a good sounding mix, you can switch over to the jam function where you can start jamming over the loop you just created with your jamstik+. This app is pretty cool to play around with and get ideas from. If you just want to have some fun playing around with the jamstik+ to a backing track, check out this app. The apps that the creators of jamstik+ provide are good but they just don’t give you as much sonic variety as certain programs that were designed for making music – such as Logic. With Logic, you won’t run out of sounds to experiment with anytime soon. Using the jamstik+ with Logic as a MIDI controller is super easy to setup. Simply connect your jamstik+ via bluetooth as shown above or directly via the USB cable. Then, create a new software instrument track in Logic, choose an instrument, and you’re good to go. The folks over at jamstik+ have also created a short Logic + Jamstik video quickly showing how you can easily create a tune in Logic. If you do happen to experience latency when using the jamstik+ in Logic there are a couple things you can do. First, try closing any other running apps on your computer, this will free up additional CPU power. If you’re still experiencing latency, try navigating to the top navigation bar in logic and going to Logic Pro X > Preferences > Audio. Once you’re there, reduce the IO Buffer size to 64 or 32. The lower the buffer size the better performance you’ll see, however, this eats up more computer resources so try testing out 64 before moving to 32. I didn’t think this jamstik+ review would be complete without a song demo of what it could actually do. So, as a guitarist, I decided to cover a totally non-guitar based song and see what I could come up with by using the jamstik+. I decided to cover the song “The Way It Is”, by Bruce Hornsby which is primarily piano-based. All the instruments you hear being played in this song were played using the jamstik+ except for the drums and vocals. As you can see from the screenshot below, all tracks in green are MIDI tracks, created with the jamstik+, while the blue track is vocals and the yellow is drums. Check out the cover of The Way It Is below. The attack isn’t always as fast as I’d like it to be. I actually find the sound is smoother if I’m playing fast using a synth instrument as opposed to a guitar instrument. Sometimes when I’m playing, my fingers will accidentally touch a string which triggers a note being played. This can be a bit annoying if you’re using it as a recording tool as you’ll later need to go back and clean up the ghost notes. It can be a bit awkward to play as it so tiny (but I feel like I got used to this as I played it more). Regardless of the drawbacks, I still feel like the jamstik+ is a huge leap forward in the MIDI production world. Just from my short time using it, I’ve been able to create sounds that I would never have been able to with my limited knowledge of keyboard. If you’re an absolute beginner guitarist or you’re looking for a new tool to add to your recording studio, definitely check out the jamstik+. The jamstik+ retails for $349 (with a carrying case – $299 without). If you’re interested in buying the jamstik+, use the coupon code MusicianTuts for a 10% discount off your purchase. Overall, I think the jamstik+ is a pretty cool tool especially for recording purposes. 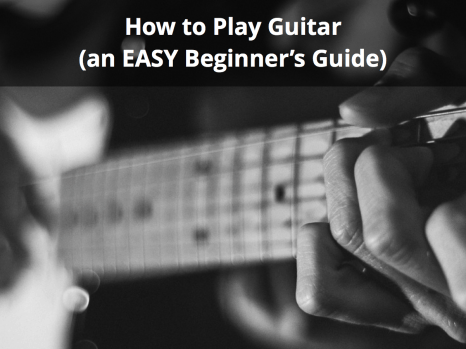 As a beginner guitarist, it can certainly help someone learn the basics of how to play guitar. However, I feel that they will quickly grow out of it as it only gives you access to 5 frets at a time. Although, at it's current price point, the jamstik+ comes to around the same price as a decent beginner guitar and you can eventually use it in the studio even after you grow out of it for learning purposes. I think the jamstik+ is a great tool that I would recommend to any guitarist who wants to start working with the wonders of MIDI while playing an instrument they're comfortable with.